straight falls, setting up a Villano/Chicana match. 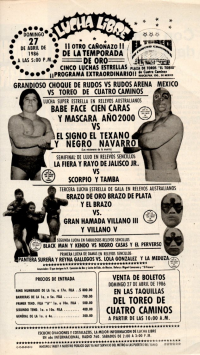 Chicana pulled off V3's mask for the DQ. 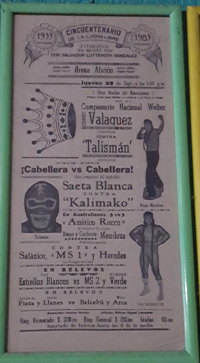 listed as Misionerio de la Muerte with individual names. Vera and Dos Caras (in the next match) had a confrontation after the match. 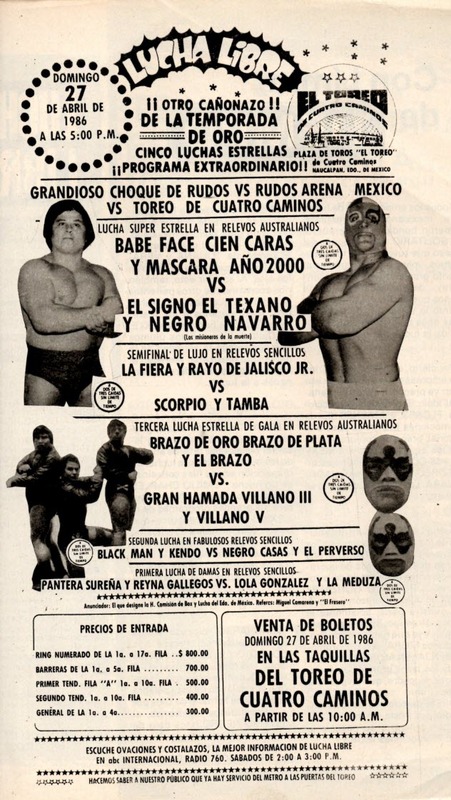 Anibal & Villano III backed up Dos, and the rudos attacked to start the main event. listed as Los Vandalos vs Los Matematico, numbers. 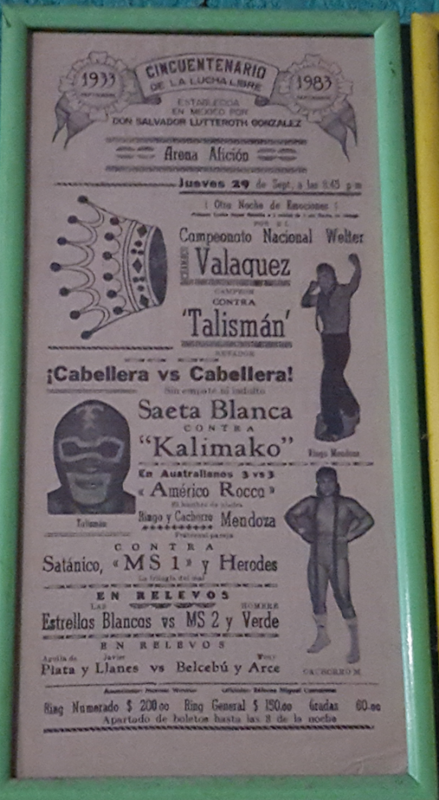 Villano III is champion. 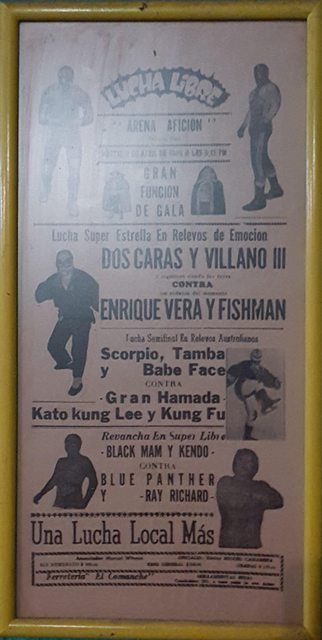 Previously listed as UWA LH. 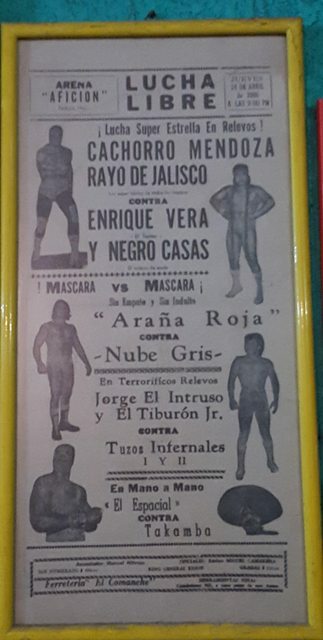 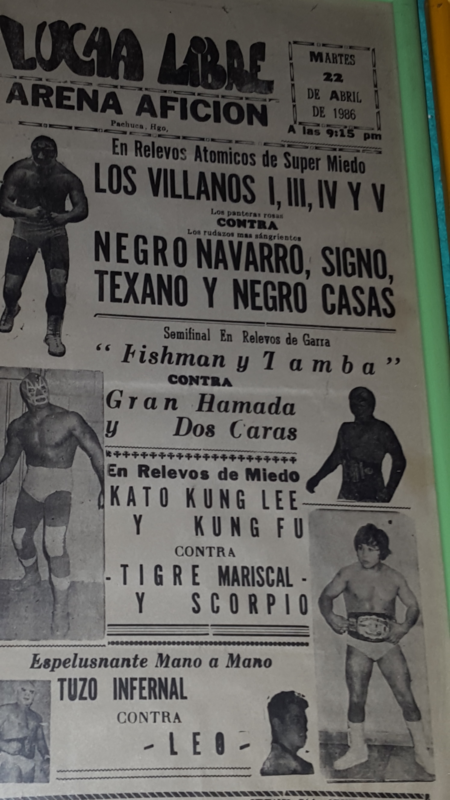 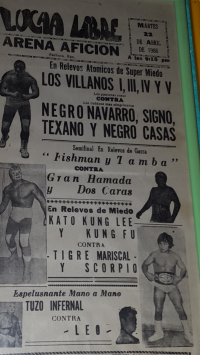 2) Aristotele I & Aristotele II vs Black Panther & Irazu Jr.
4) Black Terry, José Luis Feliciano, Shu el Guerrero vs Águila De Plata, Halcón 78, Rayo de Jalisco Jr.
3) Ángel Blanco vs Dr. Wagner Jr.
Changed to just the Jrs - the Senors were scheduled to be part of it until the car accident earlier that day which claimed Angel Sr.'s life and ended Wagner Sr.'s career. 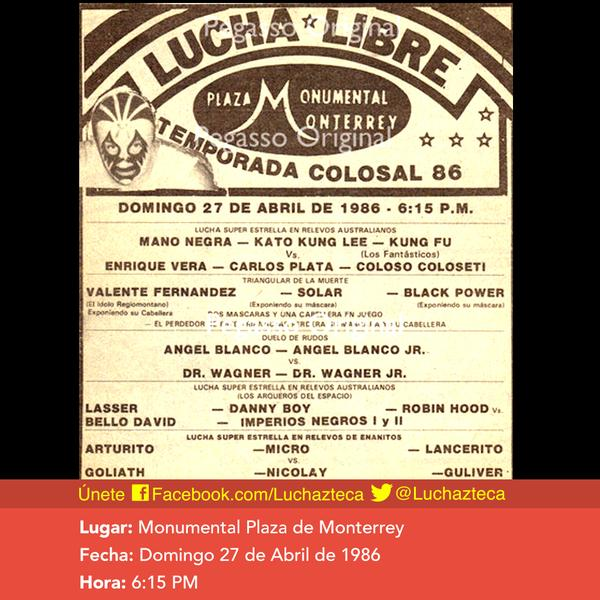 Event Notes: A car accident earlier in the day killed Angel Blanco, and ended Dr. Wagner Sr.'s career. Mano Negra & Solar I were also in the car, not seriously hurt but missed the show (which still went on.) 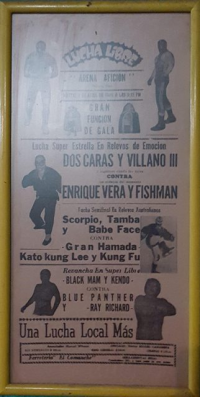 A scheduled Valente Fernandez, Solar I and Black Power apuesta match was canceled after the car accident.